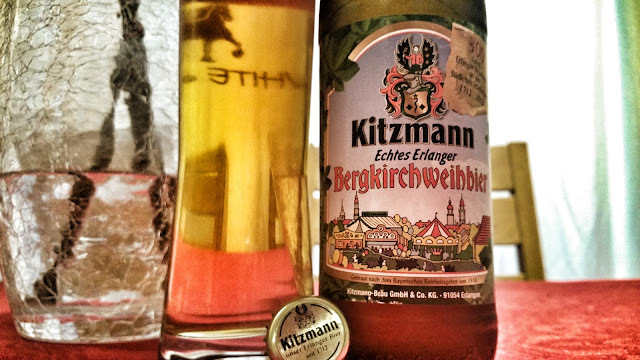 One of the lesser known German beer festivals is the annual Bergkirchweih in Erlangen. It's often shortened to "The Berg" by English speaking visitors. Pauline and her friends make an annual pilgrimage to the festival each year. It's a great girls weekend away and of course I wasn't invited. 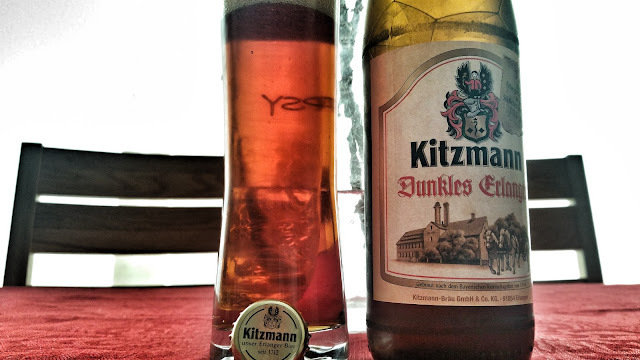 To make up for it, Pauline brought me back 4 bottles of beer from the local Kitzmann brewery to try so I got stuck in the other night. First up is the 4.9% Kellerbier. An aroma of sweet pils malt with a touch of honey and grassy hops. The taste was a big grainy malty affair followed by a bitter hit and then a sharp lager crispness. There's a pervasive but balanced bitter finish. Lovely beer, I would like much more of this. 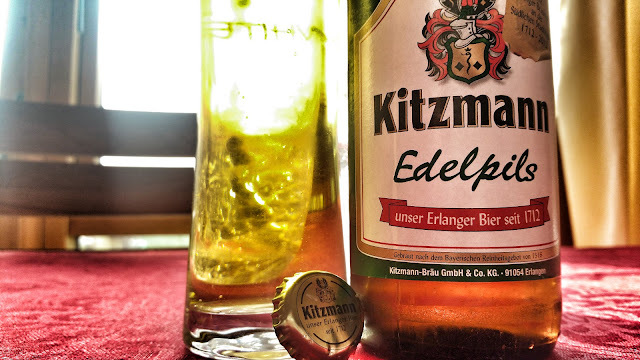 I'm not too familiar with an Edelpils but a quick translate shows that edel means noble in English so a Noble Pilsner? It's still not a style I'm familiar with. On the nose? Feck all really. Some slight pils malt as as much as I can get. Not really worth the 5% ABV. Not much flavour either. There's a little bitterness and some graininess but really, this is sort of like a light lager. Nothing wrong with it, just absolutely dull. The Dunkles Erlanger was far more to my liking however. A 5.7% big chewy malt forward affair full of chocolate and burnt toffee. I really enjoyed this. My second favourite perhaps. Lastly is the 5.9% Bergkirchweihbier which is the beer they brew especially for "The Berg". Floral and grassy with a pils malt sweetness, it's made more complex by some dried fruits but otherwise, it's pretty normal for a festival style beer. Four solid beers from Kitzmann with one being completely dull but flawless. 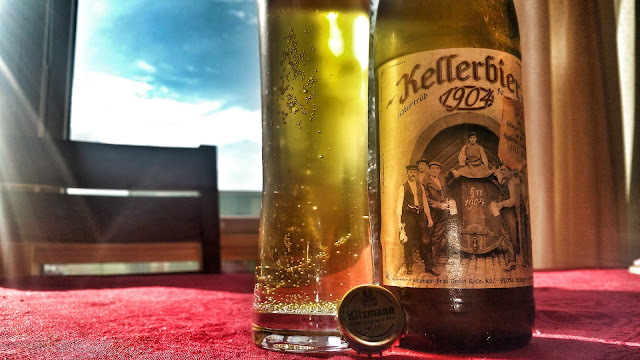 The most memorable of the four was the Kellerbier which I thought was superb.